Government officials, who thought cows were doing great, expressed surprise that the population had suddenly plunged to zero. Sheehan told reporters that late last year, his office began to receive a series of seemingly unconnected reports regarding under-grazed pastures in the western United States, plummeting levels of cheese production, and an uptick in the price of men’s belts. Then one day, he said, a coworker entered his office and said, “Hey, Greg, have you seen any cows lately?” and, upon realizing he had not, the pieces all began to fall into place. 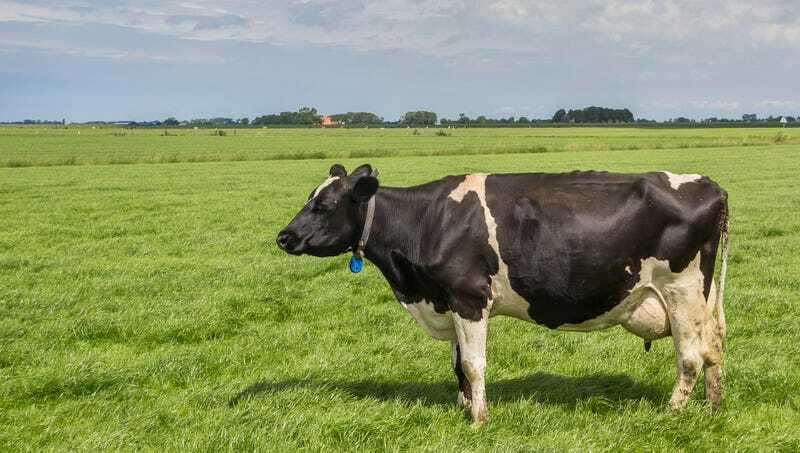 According to government officials, a global count of the bovine population was soon initiated, and investigators were surprised to discover the total number of cows, which until recently had stood at approximately 1.4 billion, had plunged to zero. Cow extinction is expected to cost the world economy trillions of dollars, with many well-known companies such as McDonald’s, Jack Link’s Beef Jerky, and Land O’Lakes Butter having already declared bankruptcy. Repercussions have reportedly been widespread as households stockpile hundreds of pints of ice cream, used leather sofas sell for more than $5 million on eBay, fashion labels scramble to design top-grain chicken-hide jackets for their fall collections, and cattle futures trade at all-time lows. Because the extinction was unforeseen and laboratories kept no quality samples of cow DNA, cloning the animals is believed to be impossible, though a team of scientists in Zurich recently announced they had manipulated genetic codes to grow a milkless bovine udder on the back of a mouse. According to top biologists, a child born today will likely grow up only knowing cows from books, photographs, and reconstructions of Bos taurus skeletons in museum exhibits. Across the country, Americans have expressed shock and frustration over the sudden extinction of cows. “Although, come to think of it, I haven’t seen any goats in a while, either,” he added.